Celebration Lights – Coming Soon! Jeremy’s birthday has arrived and this birthday is special one because he’s moving from his crib to his first big-boy bed. 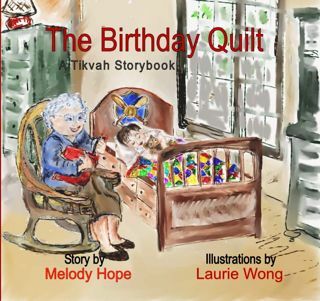 The birthday quilt is a heartwarming story filled with the sounds of life, the excitement of transition and a special mystery. Extra bonus family fun guide accompanies this book with projects the whole family can enjoy. 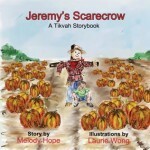 To order more than 20 books contact Tikvah Publishing directly at tikvah.publishing@gmail.com. The Birthday Quilt is an endearing vignette about the anticipation of a little boy who has reached a landmark birthday, a rite of passage from crib to bed. As excited as Jeremy is, he learns that age must be accompanied by patience and thankfulness. 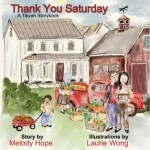 Told by Melody Hill and illustrated by Laurie Wong, this little book will bring back memories of a time when simpler pleasures and heartfelt appreciation were enough. Great book for encouraging an attitude of gratitude. . I especially liked the connection between hearing sounds and being thankful for the things that those sounds represent. I enjoyed this book thoroughly. I am looking to sharing it with my grandchildren. The activities are educational and fun and can be shared by the whole family. Thanks Melody for writing and publishing this! Are you looking for a Fundraiser that gives you 25% return? Well, look no further! Tikvah Publishing offers that. For more information select button below.